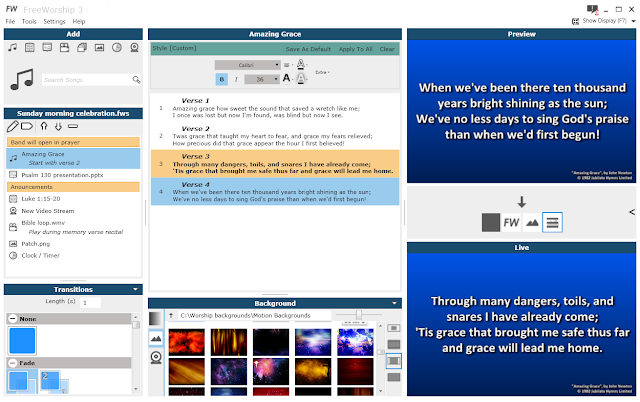 FreeWorship is a new versatile, easy-to-use, and reliable worship presentation software designed for churches, christian unions and worship sessions. Best of all FreeWorship is totally free. FreeWorship aims to offer as many features as possible while maintaining a simple interface for ease of use. It supports songs, bible verses, videos, images and soon it will support slides too. FreeWorship is aimed for everyone from the computer novice to those advanced users. We have designed the interface so that it is easy to use making all the common features easily accessible but have still packed it with advanced features. FreeWorship uses smooth transitions and a simple style editor to make running a service easier more professional than ever using only free software. FreeWorship is a rich presentation software containing many features, yet remains simple to use. No need to spend a long time learning how to use a new piece of software, as the interface is intuitive. Preview display – See a full preview of what a slide looks like before putting it on the main screen. Styling – Customise the look of your service by changing the size, font, colour and position of your text. Then top it off with a nice background colour, image or video of your choice. Designed for worship – Whether you’ve got a fixed running order or you like to switch things up during the service, FreeWorship is flexible enough to accommodate your style of worship. 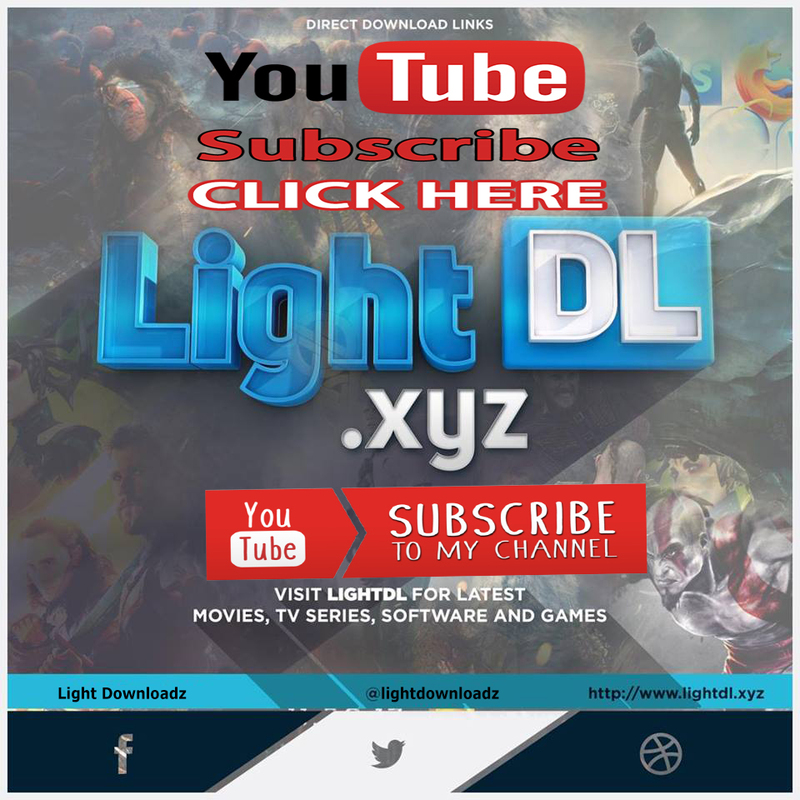 Quick edit – Right click on a verse to edit a song with lightning speed. Good for those pesky spelling mistakes. Auto-verse – When you search for song lyrics, FreeWorship not only finds the right song, but pre—selects the right verse. Bashers – Quickly display a bible verses, notices and scrolling alerts using the Bible Basher, Slide Basher and Alert Basher. SlideSets – Create simple presentations and slide shows without leaving FreeWorship. Remote clicker compatible – If you want you can set up your service in advance and run FreeWorship from the pulpit using your remote clicker. Import your old songs – If you’re switching from another product, FreeWorship can import your existing song library.